Welcome to another cryptocurrency beginner’s guide by eToro! Today we’ll be covering Bitcoin Cash (BCH), another cryptocurrency born as a result of contentious hard-forks on the Bitcoin blockchain. In short, the current BCH is the product of 2 major contentious hard forks. The first contentious hard fork caused it to split off the original Bitcoin network on 1st August 2017, which was then followed by another split on the Bitcoin Cash blockchain on 15th November 2018. If you need a refresher course on hard forks, we recommend that you read one of our earlier posts in the series pertaining to Ethereum Classic. Certain members of the Bitcoin community such as Roger Ver feel that the implementation of SegWit without increased block size would prevent the growth of Bitcoin as a currency. Together, this group formed a plan to split from the Bitcoin blockchain and created Bitcoin Cash with a larger block size limit of 8 MB. 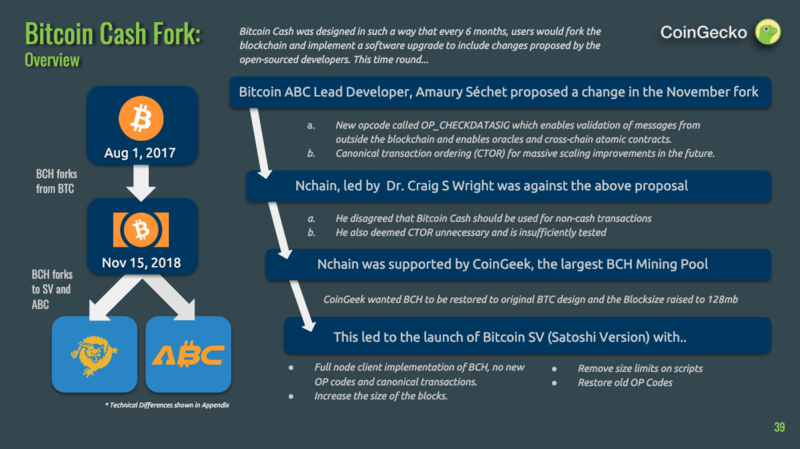 Bitcoin implemented SegWit but the newly forked Bitcoin Cash did not implement SegWit. The Bitcoin Cash block size was subsequently increased from 8 MB to 32 MB on 15 May 2018. However, after only 1 year and 2 months since it’s separation from Bitcoin, clashing ideas on how to scale Bitcoin Cash caused further infighting and threatened to split the Bitcoin Cash community. As a result, two emerging camps within the Bitcoin Cash community fought for dominance on their idea to scale Bitcoin Cash, leading to what is known as Bitcoin Adjustable Blocksize Cap (BCHABC) and Bitcoin Satoshi's Vision (BSV). 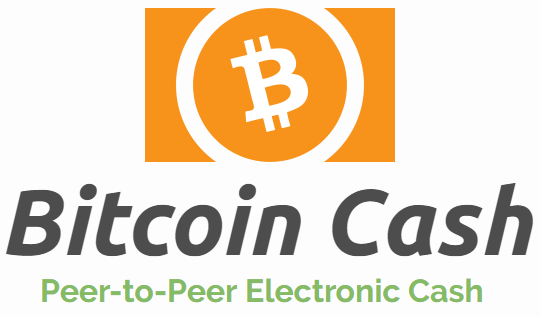 BCHABC aims to maintain and upgrade the current functionality of Bitcoin Cash. On the other hand, Bitcoin SV (BSV), led by Craig Wright and NChain, aims to include radical changes, such as transitioning the network to allow smart contract capability to make it more enterprise friendly. Both sides are convinced that only one implementation can be included in the network upgrade and it should be theirs. Debates on implementation broke into ugly infighting as proponents of both camps began publicly lashing out at each other online. The network upgrade resulted in a contentious hard fork, where different nodes upgraded with different implementations (depending on who they support) and a competition for the longest chain went on in an attempt to “kill the other network”. In the end, both BCHABC and Bitcoin SV survived the initial onslaught with the former being recognized as the proper Bitcoin Cash by most people in the cryptocurrency industry. How does Bitcoin Cash differ from Bitcoin? One of the most prevalent topics of confusion in the aftermath of a contentious hard fork is what happens to a user who initially had private keys or coins in the pre-forked chain. Due to the nature of a hard fork, all blockchain data prior to the Hard Fork is copied to both new chains. Ergo, if you owned 1 bitcoin before August 1 2017, you now have 1 bitcoin and 1 bitcoin cash, which can both be signed using the same private keys. However, that does not mean you can transfer your Bitcoin Cash over to the Bitcoin network and magically allow you to own 2 bitcoins. Your bitcoin cash and bitcoin exists on two different sets of blockchains now. Mistakenly sending your Bitcoin Cash to a Bitcoin or Bitcoin SV address will often mean the loss of your coin. This one’s for all you block geeks out there! Below are some of the technical specifications between BTC and BCH, compared side by side. Similar parameters such as block time (10 minutes) are left out of the table. The openness and freedom of innovation that comes with open-source cryptocurrency projects often mean that disagreements and parting of ways will happen due to disagreement in ideals. This is the beauty of an open source peer-to-peer cryptocurrency where the success of each coin is democratic and meritocratic. Combine this with the free market, and you will be able to gauge the sentiment towards a certain project.